On the subway Jose explained that he was not done improving as a runner. He then proceeded to asked me if I wanted to coach him. At the time I was already coaching a few runners, so I was happy to coach him as well. Over the next several months, I coached Jose to a PR in the 1500m and 5k. I also expressed to him that I wanted to start an online running coach company. Jose and I began to brainstorm. 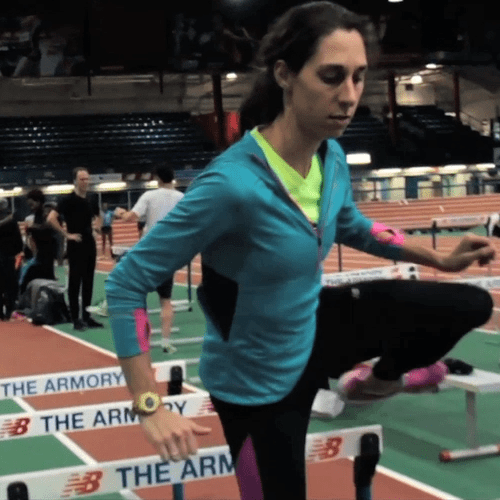 We determined that the best way to coach runners was to teach them. We wanted to abandon the cookie-cutter method of training that riddles the running community by providing individualized coaching. We also wanted anyone in the world to be able to access our hands-on coaching style. Most importantly, we wanted to teach runners the “why” behind their training. Educated Running, a service that would connect runners to qualified running coaches, was the perfect name for our new idea. Two years ago we were two guys in NYC who believed runners deserved more from their coaches.Today we are a growing online coaching service for runners with thousands of followers on social media, an interactive website, and 12 qualified coaches. Our coaches also meet runners for private running lessons on a regular basis. Collectively we have coached over 100 runners to success. Coach Jose Miranda and I have decided to expand Educated Running to the West Coast, starting with the Bay Area in California. There I will grow the business as we did on the East Coast, so that we can coach more runners, and teach them while we’re at it. Three years ago I was riding on the F train to Prospect Park with my new friend Jose Miranda. We were on our way to run a 10 mile relay together.